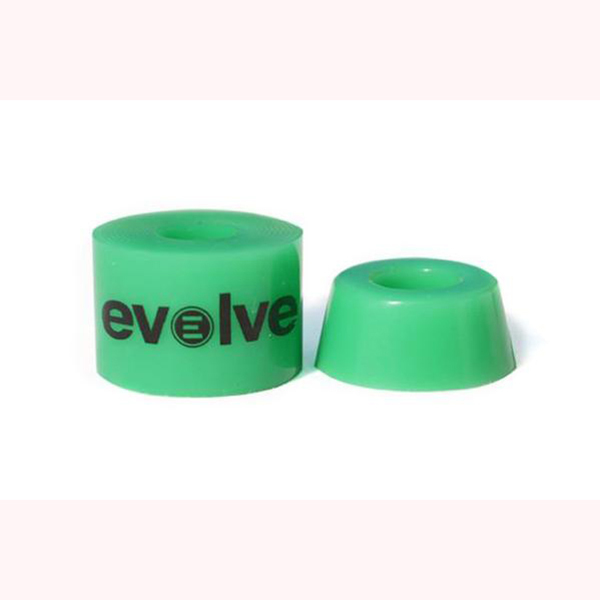 1x standard set of Evolve Bushings for your skateboard. 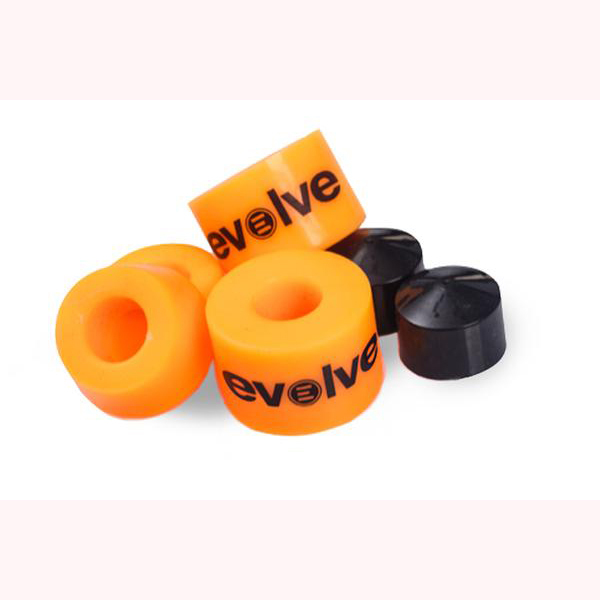 Comes with TWO 16.5mm Barrels & TWO 12mm cones, and TWO pivot cups designed to work perfectly with your Evolve Supercarve Trucks. Choose from three options: Peach (89a) for the ultimate surfy flowing carve, Orange (95a) For the hard-carving high rebound feel, or Green (92a) for the low rebound lazy carve feel. NOTE: For a COMPLETE set for your double kingpin trucks, please order TWO SETS of bushings.